Loosen Up with Medical Massage therapy. We offer medical massage therapy by board-certified therapist, Sue Peterson, CMT #1039. This therapy provides natural, holistic solutions for ailments from headaches to creaky shoulders in a warm, nurturing environment. Medical massage therapy combines many popular massage styles -sports, deep-tissue, lymph drainage, trigger point, myofascial release and Swedish, to name a few – to solve problems and help you feel your best. This therapy addresses shoulder, neck or low back pain, loss of movement, headaches, dizziness, loss of balance, tinnitus, digestion reflux, TMJ, sciatica, tendonitis, bursitis, swelling and circulation deficiencies. Medical massage often avoids more invasive actions such as drugs, injections or surgery. It also applies when such therapies have not worked or cannot be used. A pain-free life can be as simple and natural as skilled, nurturing touch. Sue’s clients – from high school swimmers to retirees busy “making sawdust” in the garage – know that medical massage keeps your body working at its best! 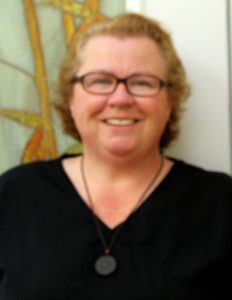 Sue’s skills include deep-tissue and sports massage, trigger point therapy, lymph drainage techniques and many other methods of medical massage to restore movement and relieve pain. Since 1995 Sue has served Orange County athletes, professionals and retirees. Her healing and recovery massages assist as well in lymphatic drainage and scar-sculpting for post-tummy tuck and liposuction surgery. The important difference between medical massage & other techniques is addressing the cause of these conditions for natural solutions. Lymph drainage is the most detailed and effective of the methods. Light, gentle touch opens and flushes the entire lymph system. Deep Tissue Massage methods such as myofascial release and trigger point therapy focus healing on strained tissues in your body. A trigger point massage will help with discomfort, spasm or downright pain that occurs after an injury or stress that seem to keep re-occurring. Sports massages facilitate natural healing, balancing the nervous system and others that aid sleep, exertion, energy & mindfulness. A combination of massage methods will help surgery do what it is intended to do - produce a firmer contour in skin & underlying tissues. Board Certified and licensed massage therapist, Sue Peterson, offers the personalized, therapeutic solutions OC clients demand for instance relief from pain including shoulder, neck or low back pain, loss of movement, headaches, dizziness, loss of balance, tinnitus, digestion reflux, TMJ, sciatica, tendinitis, bursitis, swelling and circulation deficiencies. Medical massage often avoids more invasive actions such as drugs, injections or surgery. It also applies when such therapies have not worked or cannot be used. Schedule a massage at her Costa Mesa massage therapy office or arrange for a home visit. Costa Mesa, Irvine, Balboa, Huntington Beach, Fountain Valley, Newport Beach, Newport Coast, Tustin, Santa Ana. For the experienced client, just tell Sue the type of massage you enjoy. Massages are different depending on the person receiving the treatment, and there is no right or wrong way. She often finds people prefer a medium to firm pressure massage, with a combination of Swedish and sports massage techniques. With people new to massage, Sue begins with lighter, less intensive techniques. She encourages people to allow safe, mild stretching during the massage, as this is a way to make the effects last longer. Sue asks questions and encourages you to tell her how you like your massage before she starts a session, and she will check in with you once or twice during the massage to make sure we are on the right path. If you are ever uncomfortable, tell her right away and she will address your concerns immediately. Sue wants your massage therapy session to be relaxing and comfortable and certainly doesn’t want you to suffer in silence if your feet are cold! She asks and listens because she cares about your comfort and respects your wishes. Make your appointment for Sue’s Loosen Up Massage Center in Costa Mesa, call (714) 435-0865. Susan Peterson’s credentials meet and exceed licensing and educational standards set for the massage profession. Her devotion to excellence will help you feel more confident in your choice. Sue is the best. She knows more than any massage therapist I’ve ever been to and she really understands trigger points. She has helped me with migraine headaches, wrist pain and chronic neck and shoulder pain. She will research trigger points and do her best to learn more about an issue I’m having. She keeps in touch, is easy to schedule, and her office is warm and inviting and clean. Sue is extremely professional, and knowledgeable. I have had chronic neck & shoulder problems related to double-mastectomy and other surgeries. I had a lot of concern about how massage therapy would effect implants and areas of scar tissue. Sue understood my concerns and helped me to relax and feel confident in her skill and knowledge. She has given me insight and exercises to help as well. Sue is excellent! Sue is wonderfully gifted. In over 25 years of regular massage from her, whether for strained muscles, stress or to maintain my sanity, she gets it right every time. Sue has a great sense of humor, is a warm and nurturing person, and really connects. I have been “loosened -up” for many years and can’t begin to describe the amazing results I have personally received. I have arthritis and am 72 years old so this body needs a lot of TLC . Sue has relieved my chest tightness, knee pain and swelling, neck tension, lower backache and the computer induced pain in my right arm and hand. She is knowledgeable, caring, skillful and has healing hands. Thank you Sue for improving the quality of my life. Best therapeutic massage in Orange County! For over fifteen years, I keep coming back to Loosen Up to solve my aching muscles and learn new stretches to stay at my peak performance. Go see Sue! The best massage ever. Sue is a life saver in my book. I am an older athlete who needs to stay at the top of his game and I go once-a-month to rejuvenate body. Give it try and you won’t regret it.